Fallout 76 wants to tell its own story, but is this at odds with the inherent distractions of a multiplayer title? 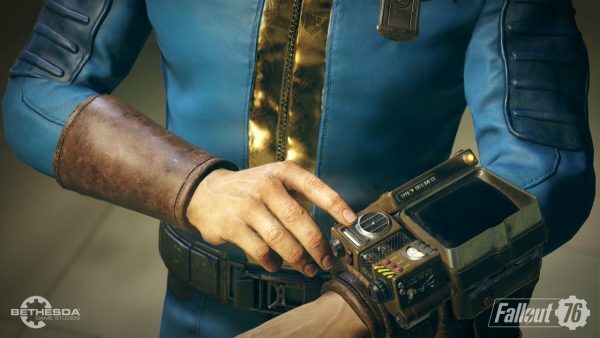 Most of Fallout 76’s story comes from NPC monologues, audio tapes, radio messages, and computer terminals. Because of this, it might be difficult to concentrate on the story when NoScopeGamer69 is punching your character in the groin. According to Bethesda, the solution is to play on your own from time to time. “You’ll play this game for 30 hours, 300 hours, or whatever,” project lead Jeff Gardiner said during a recent roundtable interview. “Sometimes you will play in a group and sometimes you’ll play solo, and those are the times when you have the time to delve into the fiction, listen to the holotapes, and read all the monitors, and really get into the story. Bethesda also says that the world is big enough for you to escape the distractions and take a trip to Loretown. Fallout 76 is out on November 14. While you wait, here’s everything we know about Fallout 76.